Here are some effective presentation tips and techniques that will make your presentation mind blowing. So here are some points to focus on. 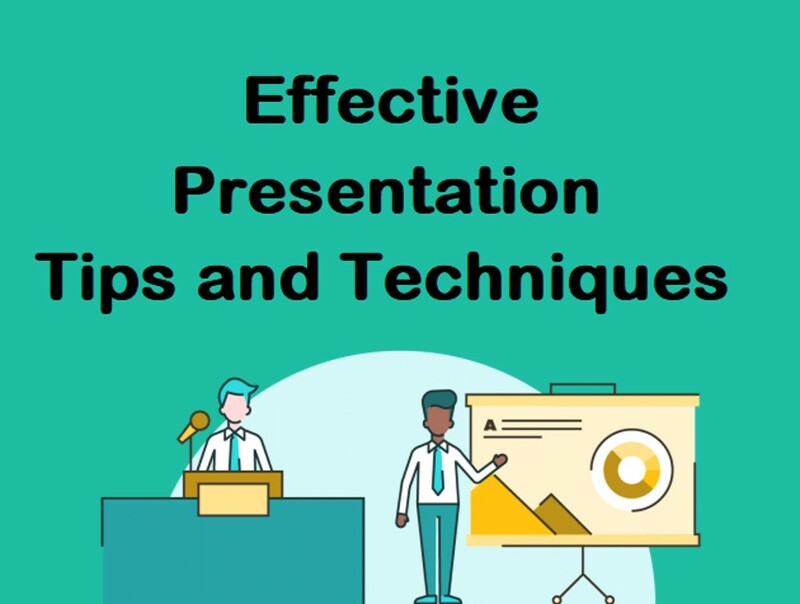 Read all this effective presentation tips and techniques carefully. Reduce the text from Slide because no one want to read all that information. Use images and illustration that easy to understand by audiences. It will make understand the audience without reading the text. Also it help to remember you topic and information for a long time. Use the infographic and charts to describe the data analysis. Use proper color and background that will not irritate the audience. Formating of you presentation should be well managed. Don't include anything that is awakwar or distract the mind of audience from core topic. Focus on your topic and don't add the things that is useless with respect to topic. Presentation should not be too lengthy, It should be around 20 minutes. Try to have 10 slides only but in some cases it may be more. Don't use text size less than of 30. Try to make presentation that is based on expectations of audience. Try to include interesting facts and figures. The beginning of your presentation should be strong. Your voice should be enough to heard by audience seated at last. Say your words with confidence. Also use your body to maintain non-verbal communication. Be honest and try to give response to audience's query. Try to eye contact with audience, it will give you confidence. Try to connect your example with any story. People like stories that teach something. Practice before final presentation. This will give you confidence and make you perfect. Make a well pre-plan for final presentation. Also attend seminar and conferences to get ideas about presentation skill. 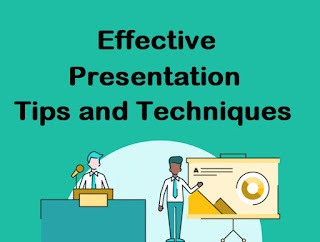 So, these are some effective presentation tips and techniques that will help you to enhance your presentation skills as well as make your presentation rock!! !